This project has a unique genesis, being born during a discussion with some friends, fans like me of communications at optical frequencies. How often it happens, extremes concept meet together, so the discussion on the higher frequencies of the spectrum slipped on the observation of those little different from zero. In particular, the band of frequencies from 5 to 35 Hz is characterized by the presence and evolution of various natural phenomena, including the "Schumann resonances". They are a group of energy peaks in the portion of the spectrum of extremely low frequencies (ELF), effect of global electromagnetic resonances excited by lightning discharges. This phenomenon is named by physicist Winfried Otto Schumann who first predicted it mathematically in 1952. The cavity, whose boundaries are the Earth's surface and the ionosphere, it is naturally excited by energy from lightning discharges and its resonance is revealed as separate peaks in the field of ELF around 8, 14, 20, 26 and 32 Hertz. Given the nature inherently variable of the electrical properties and geometry of the cavity, the "spectrum lines" are actually frequency bands centered around the frequencies calculated, as shown in the example herewith shown. The receipt of these natural signals is usually carried out by stations specifically equipped, in which a large antenna or said better, an E field sensor, is the heart of the receiving system. But not everibody is lucky enough to be able to have room enought to its installation. The aim of this work, is therefore, to propose some solutions and practical suggestions to those willing to study the matter but having limited means. The solution presented is suitable for field day use, in order to allow the enthusiast to take advantage of a "day out of school" for experiment with success. 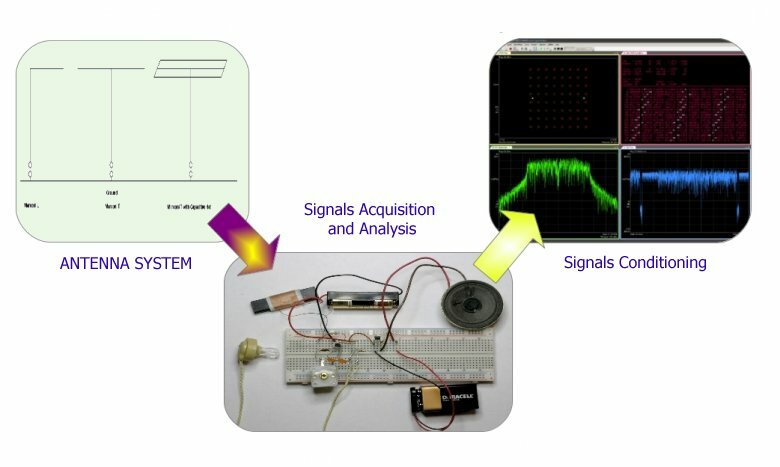 The system is composed of an element designed to capture the natural electric field, followed by a module that processes the signal to make it easy to be analyzed, then the last item, in chargheof the analysis. Let us now, block by block, develop some considerations of design and use. The newcomers less accustomed to these extremes frequency, could legitimately ask whether it is possible, as in the VLF and higher, use a kind of active antenna, made with a small stylus and an appropriate amplifier stage of high input impedance. If, from a theoretical point of view the thought is logical and motivated, unfortunately some practical aspects make it very difficult if not impractical this choice. an antenna "small", let say a wire of 2 to 3m of length, has an equivalent capacity quite low, about 30 to 40pF. Whether we would linearize its frequency response down to 5 Hz, it must be "closed" (loade with the input resistance the frontend) of about 1 GOhm. the "gain" of the small stylus with respect to the electric field to pick up is also very low and this leads to the need to use high amplifications. The two factors just discussed, leading to having to design and build a front end very critical, almost impossible to stabilize outside of a laboratory, and where few raindrops or a bit of mist may completely distort the measurements. It should worth to be considered how playing with an antenna very short, every little disturbance of the static field on its vicinity, becomes a signal or better, a disturbance in measurement. Flying insects, the grass moving in the wind, the movement of some human in the vicinity of the antenna as well as the atmospheric agents such as rain, fog, snow are all elements that can create havoc in various ways on the output signal of the system. The Marconi antenna, because of its more generous dimensions, it solves many of these problems. Also for the same reasons, it presents a high capacity to the ground, which allows the design and implementation of a front end much less critical and expensive. The solution proposed is a compromise between wishes and real possibilities, with a goal to allow a certain freedom of study and experimentation. 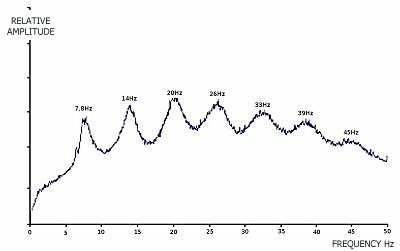 To convince definitely the novice about the difficulties, you can consider how 10 Hz are associated to a wavelenght of 30.000km. A Marconi 20m long, therefore, it is equivalent to use for the reception of the medium wave, a whip only 0.2 mm long! 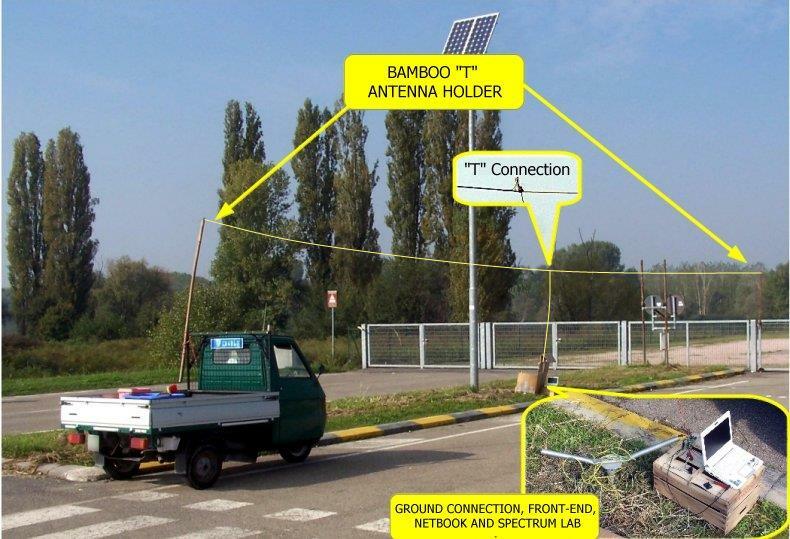 an inverted L antenna, 9m long and 2.5 m high from the ground can be considered an "entry level"
The proposed scheme is quite classic, with some specific characteristics. 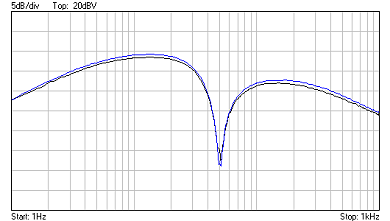 R1: defines the input impedance of the circuit and the cut-off frequency of the system "antenna + front end." 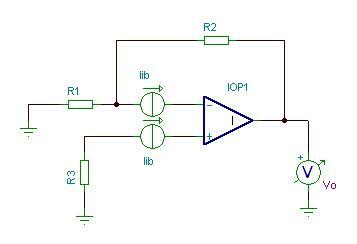 It also has the task of grounding the bias current of the operational amplifier. LN1 is a small neon bulb (without series resistance! ), which clamps the input voltage when it rises above 60 ~ 100V limiting in the case of storm, the input voltage to the circuit to a safe level, thus improving its reliability. As much as possible, choose a low-voltage bulb. T1 and T2 are two general purpose transistor used as clamp diodes with very low leakage current. R15 and R16 determine the gain of the first stage. Depending on the situations it may be convenient to modified it, using the R16 that can then be replaced for example by a potentiometer of 10 kOhm. With a little of calculations, we can put in evidence as with the values of resistance employed in the circuit, it is the predominant the contribution of the operational input noise current the to the total noise. By comparison of the performance of some of the devices mostly available, we obtain the following summary table calculated at 10Hz, 17 ° C and with the values of R1, 2,3 of the circuit before described. The first six devices are substantially equivalent and considering cost and availability perhaps it may be worth experiencing only the alternative between the TL071 and the AD820. The OP07 and OP27 and following ones, although excellent in general sense, for this specific application are not advised because of their high current noise at those frequencies. The breakdown of the various contributions to the total noise in the circuit, is summarized in the graphics below. Pay attention as the scale is a logarithmic type. Even when you operate the system on a remote area, the 50 Hz of the mains network, will be always the louder signal, sometimes strong enought to defeat the acquisition system. 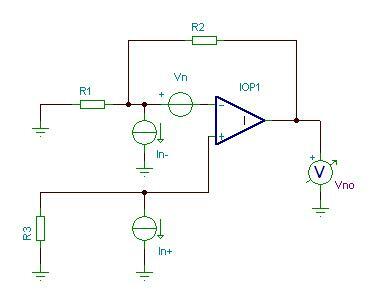 Thus, it's introduced a notch filter centered at 50Hz in order to reduce the amplitude of that unwanted signal without affecting significantly the useful band of the system. For its maximum effectiveness should be made of components (Resistors and capacitors) with 1% accuracy. None of the functions is particularly critical and can be used every good operational. The system is powered by a pair of rechargeble batteries of 8.4 V NiMh. With their 140mAh capacity, they are sufficient to guarantee a day of operation of the system. If you need a greater autonomy, you can assume the use of two small batteries Pbgel of 12V or maybe four cells LiPo if the weight factor is important. Please refer to their websites for each instruction on their use and configuration. As anticipated, the system presented offers good reception. 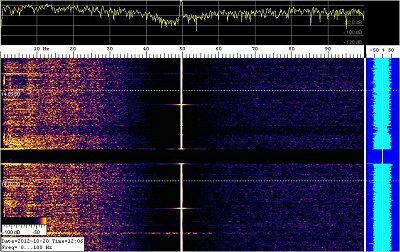 In the figure below you can see a recording prepared with Spectrum Lab and acquired with the antenna T of 18m, supported by occasional means as visible in other images. The result is very positive and achieved with little effort and investment. The bands of Schumann resonances are clearly visible, as well as 50Hz albeit its considerable amount does not affect the cleanliness of the acquisition. where possible, prefer a "T" antenna structure rather than an "L inverted "
place the front end to the base of the T and from this point starting with a long shielded cable to carry the audio signal to the PC in the shack. test and experiment with the use of an isolation transformer placed between the receiver and the sound card. It's not always needed, but often it helps. another important caution: the microphone input of sound blaster cards almost always deliver some DC voltage to feed a condenser microphone. It should be blocked with a condenser, before it is grounded by the eventual line transformer above mentioned. each mass that perturbs the static electric field in the vicinity of the antenna is transformed into a signal on the spectrogram, especially below 20 Hz. 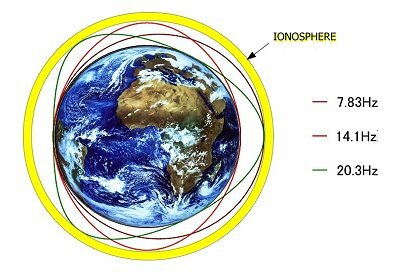 So, things, or people who move around the receiving system, can create artifacts on the received signal. The establishment of an area "not walkable "around the antenna, at least 10 feet from each part of the receiving structure, can be a good starting point. Avoid as much as possible power sources "alternating" for the devices involved. Battery packs are usually the best choice, they do not generate noise and make the whole system "floating". At the end of this paper, I would like to thank Marco and Andrea IZ5IOW, IZ5TLU for having me light up the curiosity on this matter and Renato IK1QFK and Marco IK1ODO for the competent and valuable help and support of experience. For those wishing to explore some of the many topics covered in this article, I may suggest to take a look at the bibliography.